Thanks to Lydia Machczynski for suggesting this location as a hotspot. The roads adjacent to the airport can be good for winter raptors. Thanks to Dale Bailey for suggesting that we add this hotspot at Rocky Fork State Park. The agricultural fields adjacent to Swamp Road, which lies between US-40 and I-70, can host ducks and geese during wet weather. This road traverses privately owned properties. Please view birds from the roadside only. Thanks to Brad Imhoff for suggesting this hotspot and adding tips for viewing birds here. Thanks to Dominic Cristiano for suggesting this hotspot. Thanks to Jon Cefus for adding this hotspot and writing tips for birding here. 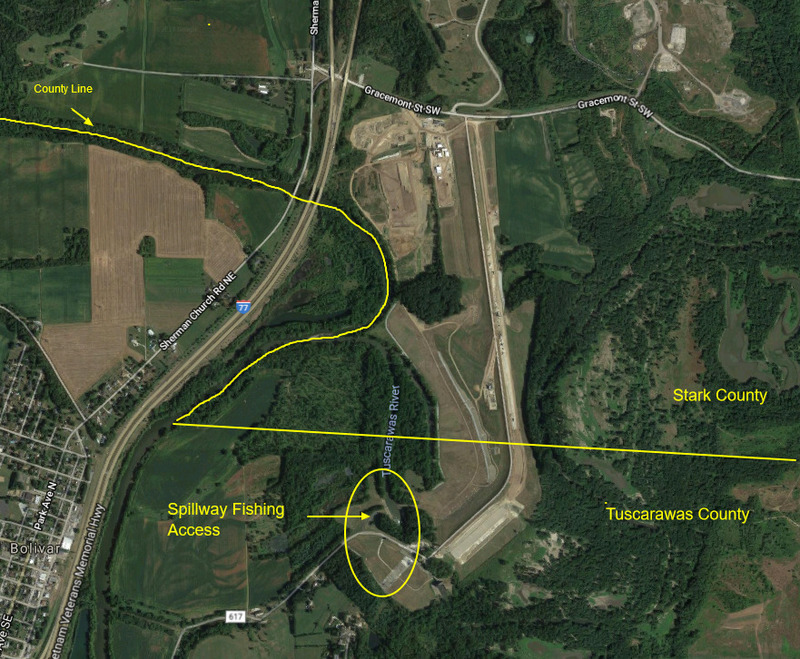 The Bolivar Dam area is in two counties, Stark and Tuscarawas. Please see the Bolivar Dam page for the location of the county line and the two hotspots. Thanks to Sherry Plessner for letting us know that two metroparks being developed by Toledo Metroparks have recently received official names. These locations have been renamed in eBird. This location has been known as Manhattan Marsh for some time. Toledo Metroparks is adding “Preserve” to the name. Formerly known as “Riverside Drive Marina District,” this area is being redeveloped into a new Metropark. Added a Google Map to each county page and rearranged the page so that the list of all the hotspots in the county is in the left column. This brings the list closer to the top of the page when you are viewing the website on a smartphone.